THE CHAIR OF the Referendum Commission is encouraging all voters to get informed and ready to vote on Friday in the referendum to repeal or retain the Eighth Amendment. 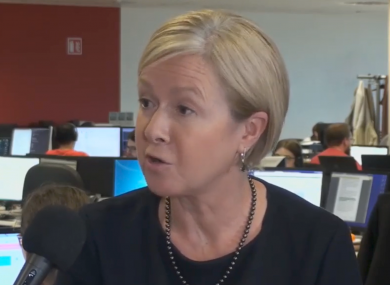 We put your questions to Justice Isobel Kennedy, chair of the commission, in a Facebook Live interview earlier this afternoon. While many issues do not fall under her remit – such as issues surrounding the information displayed on posters, funding of campaigns, the government’s plans and the potential legislation – she can get into the nitty-gritty of voting and assessing the current situation. However, Kennedy’s main advice to people was to make sure they get out and vote. If people do not vote, other people will make the decision, so it’s really important that people vote and we, the Referendum Commission, urge people to exercise their constitutional right. Presented by Sinéad O’Carroll. Video by Nicky Ryan. Email “Watch: We put your questions to the chair of the Referendum Commission”. Feedback on “Watch: We put your questions to the chair of the Referendum Commission”.